"We know how important it is to have 100% uptime in corporate environments. We work hard to build reliable equipment that gives our systems a 99.99% uptime." We also understand that sometimes equipment can fail. We therefore offer the Barracuda Instant Replacement Service. 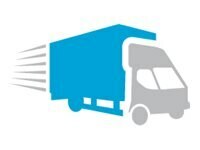 With the Instant Replacement Service, we provide next business day shipping of replacement hardware. If your Barracuda Networks product fails, we will ship you a replacement unit within 1 business day so you can get back up and running soon. Replacement requests received outside normal business hours will be considered received the next business day for purposes of shipping date. Actual delivery time will vary based on transit time.